Combining elegant new design with outstanding innovations, including ovens with smart phone style swipe or scroll touchscreens, Miele appliances are user friendly and take speed and efficiency to a whole new level – along with your cooking skills. These extraordinary appliances have so many revolutionary features and benefits, only a hands-on experience can do them justice. Our Introductory Demonstrations are designed to allow you to sit down and relax in an intimate group as our Home Economist shows you how these ovens will transform the way you cook. We then invite you to taste the quality and range of dishes they so effortlessly produce. 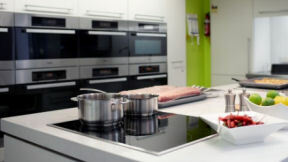 Each dish you see prepared will bring to life a feature of these amazing appliances. 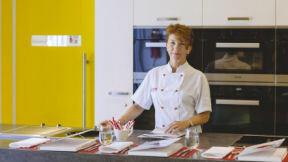 You’ll have all your questions answered, receive a generous helping of expert advice and leave with a selection of exclusive Miele recipes and all the inspiration you need to try them for yourself!